Looking for engaging, fun and collaborative team building ideas? Beat the Clock – As the name suggests, this teambuilding activity is for teams to discover and explore skills not often displayed in the workplace. The team program consists of up to 50 different activities and challenges to choose from. The concept is simple; Score as many points as possible by completing chosen challenges. 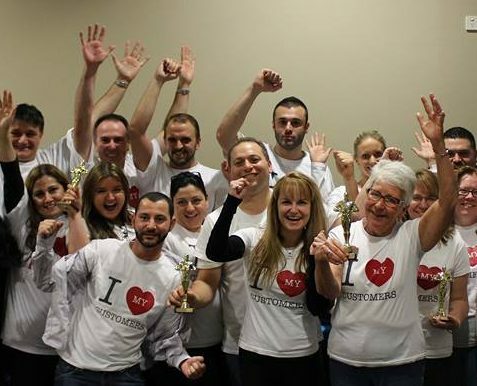 Teams attempt to Beat The Clock – a cross between Minute to win tasks, Olympics and It’s a Knockout style games all great Melbourne team building ideas, that are flexible to be delivered throughout the city areas or regions. We use great locations in Melbourne and Sydney. St. Kilda offers excellent options with the beach and Luna Park, Richmond Park areas, CBD has so many options to design and utilise key areas. Lots of options are available to create this team building activity a real fantastic event, allowing scope to engage actors, music, on going team scores, prizes and insert creative style of activities. As a city, Melbourne offers fantastic options to get teams incorporated and engaged. Also available is Project Omega, a one team challenge that increase cohesion in groups. An important decision must be made at every task. Each task is split into three levels of difficulty, of which the team may only attempt one. Physical, mental or cognitive tasks, team based activities and competitive games. Successful completion of the hardest challenge will see higher point scoring, but involves risk-taking and a good plan. The Beat the Clock Team Activity lasts approximately 30 – 90 minutes, is suitable for between 25 and 500 people. T Perfect for teams looking to get some energy flowing through the group whilst on a conference, meeting or off site workshop.